North America, the UK, Germany and Australia remain the top property investment destination for UAE residents, according to a YouGov survey conducted by IP Global, the property investment firm. The survey results showed that when it comes to investing in property abroad, the US and Canada are the most popular markets among UAE citizens. Chicago and Los Angeles were highlighted as popular investment destinations in the US. The UK with 13 percent and Australia with 11 percent, were also popular choices respectively while Germany was preferred by 10 percent of UAE respondents. There has been a slight shift from the previous YouGov survey in 2016 when the most popular countries to invest in outside of the UAE were US, UK and Australia while for 2017 it is Canada, US and UK. The survey of 1,000 UAE adults found that when it comes to selecting assets to invest in, 33 percent would invest in property in their home country rather than stocks, shares or bonds (21 percent). The UAE was one of the five countries where the survey was conducted, as part of IP Global’s research to identify investment trends in real estate across key markets. Hong Kong, Singapore, China and the UK were the other four countries. The UAE had the highest percentage of people that planned to invest in property abroad in the next 12 months. Richard Bradstock, director and head of the Middle East at IP Global, said: “As the results show, North America continues to be a popular investment market for UAE residents. This shouldn’t come as a surprise as Chicago offers some of the world’s highest average yields for a global city at 7.9 percent while Los Angeles condominium prices were up 7 percent year on year to December. 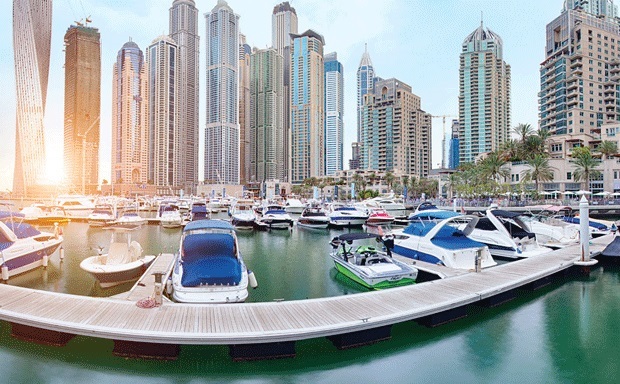 IP Global said that although many UAE citizens are experienced investors, the survey results revealed a huge gap in international property investment understanding. “We believe there is still room for overseas property to increase in popularity as a strengthening US dollar, combined with a post-Brexit world and the recent announcement of another British election in June, makes it cheaper for USD pegged investors to buy property abroad,” said Bradstock.